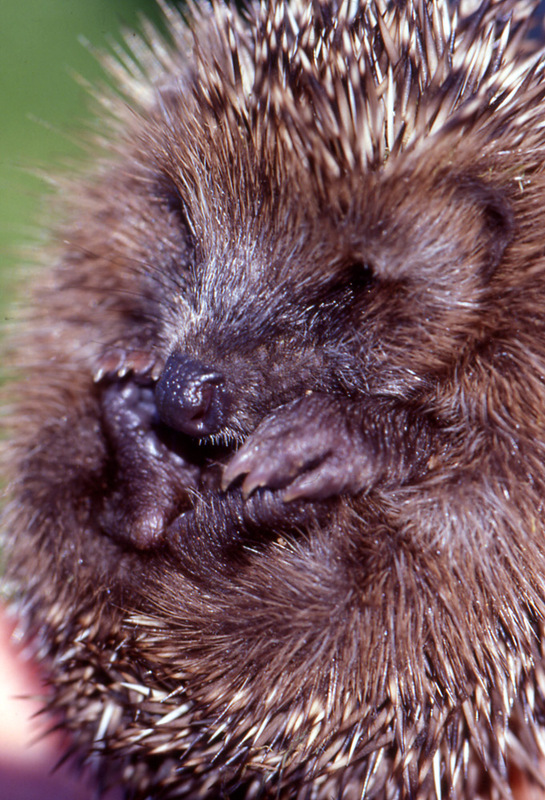 Click on each of the images to see a more detailed view. 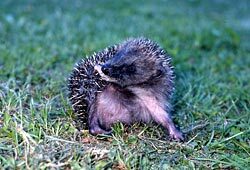 When hoglets are born they are unable to curl up so this is something they have to learn and practice in their first few weeks of life. 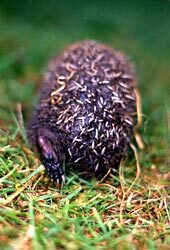 When a hoglet is weaned we have to take out for regular walks in the garden so they get used to the grass and hopefully get the idea that they should be foraging for insects. 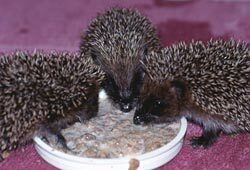 Sometimes whole litters come into us without their mother. 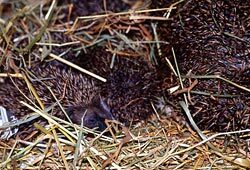 These little chaps are part of a litter of five that became know as the Havers Five because they were brought to us by the Lollipop Lady of Havers School. 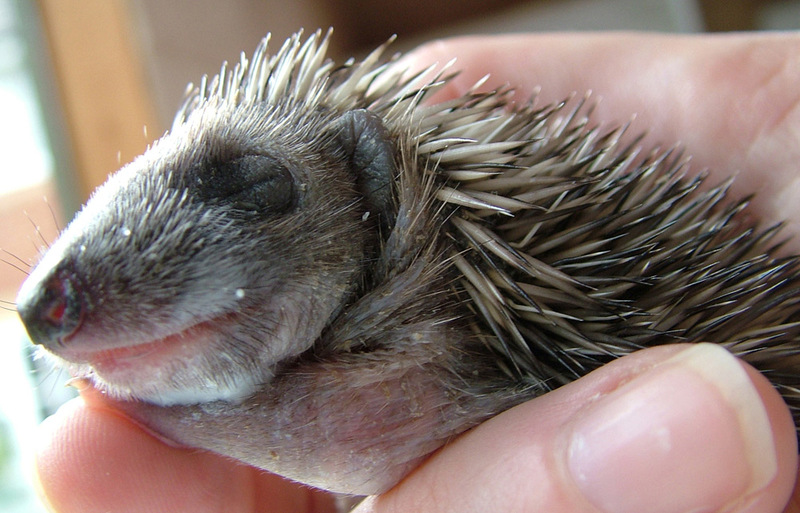 This little hoglet (Fatboy) came in at just five days old with eyes and ears still closed. 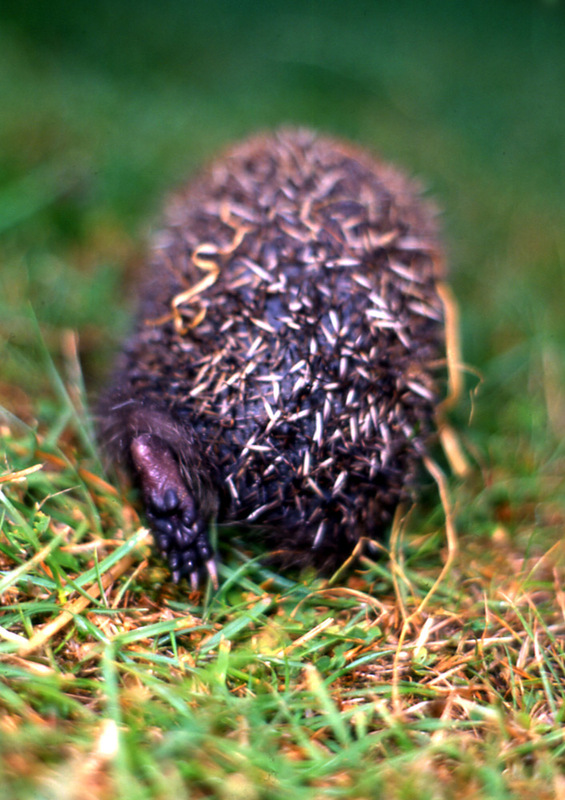 He was found squeaking in the middle of a lawn and would have died if he had not been rescued. 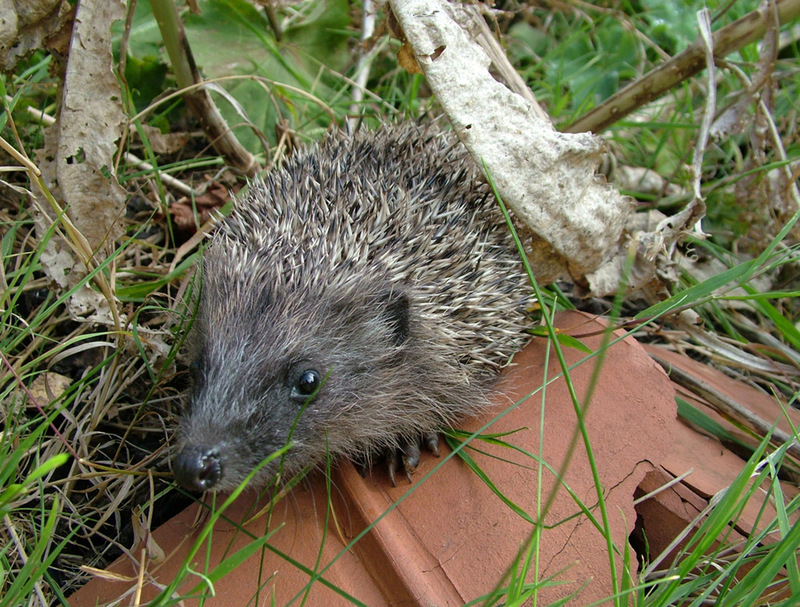 Fatboy at around 8 weeks old taken on the day he was released back into the wild. 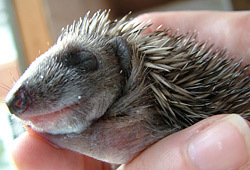 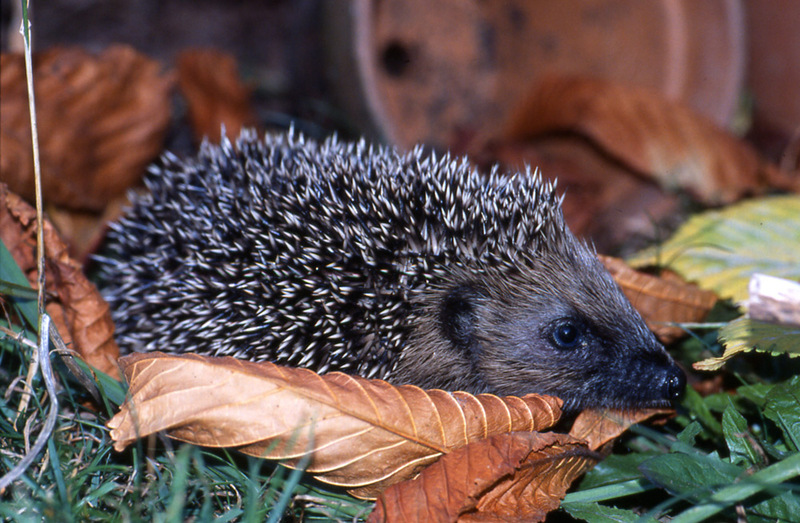 Many hoglets are part of a second litter and are born late in the year. 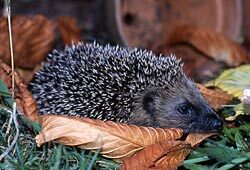 If they do not make the weight of 600 grams before they have to hibernate many will not make it so they must be brought in and kept awake all winter. This hoglet is in the process of self-anointing which many babies will do when they come across a new smell. 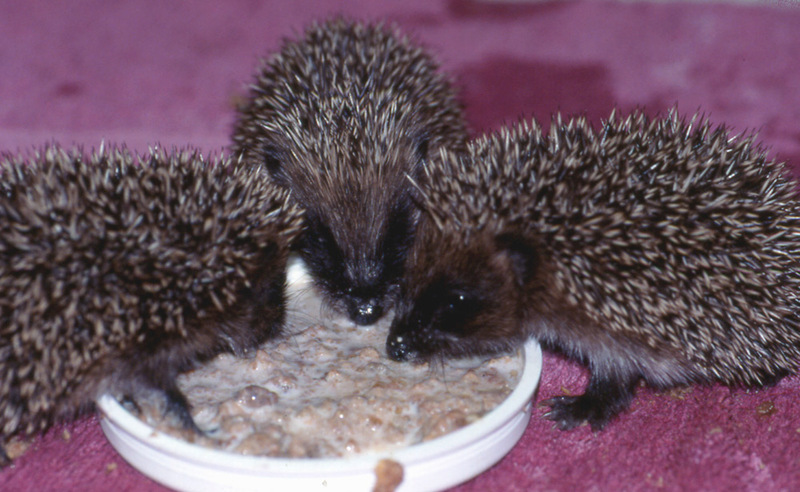 This mum and her babes were rescued from a back garden after a shed was ripped own. 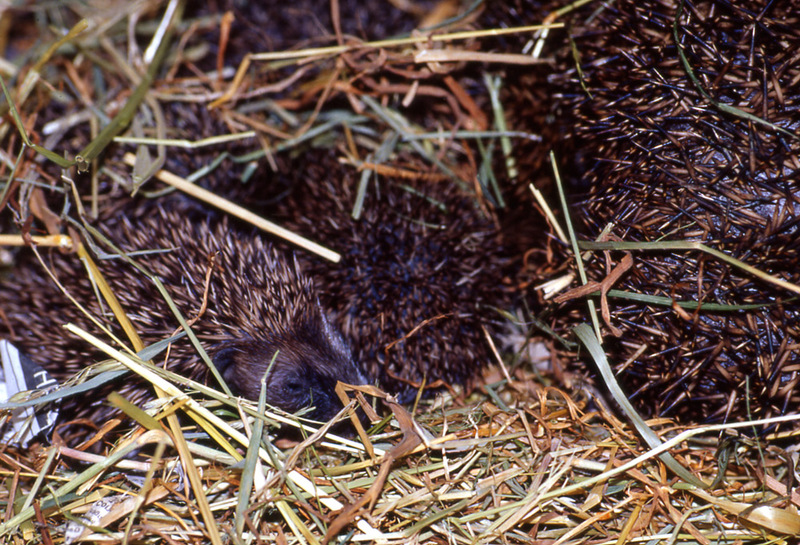 Thankfully she was a very good mum and raised the babies right up until they were all successfully released. 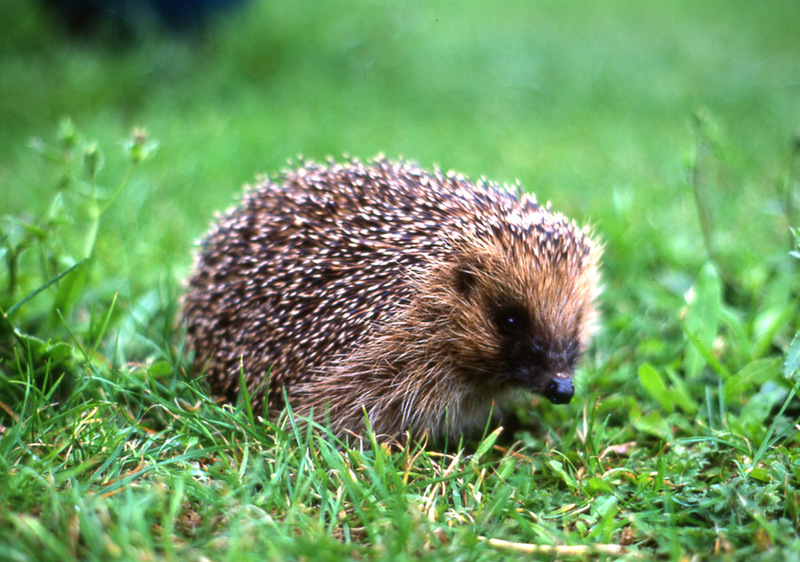 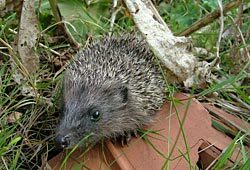 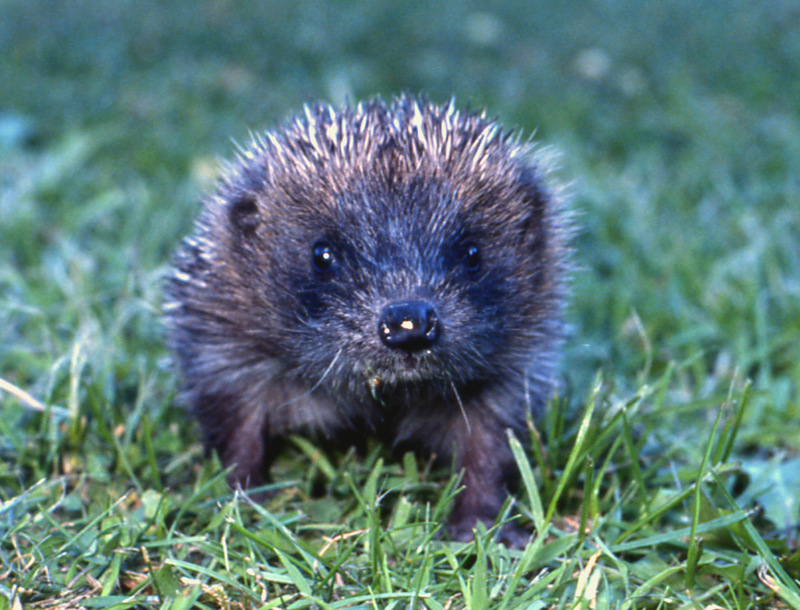 This hog became known as Stomp as he would often stomp around the garden during daylight hours. 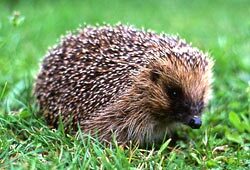 We were unable to release Stomp back into the wild but he now lives in an enclosed garden well cared for. 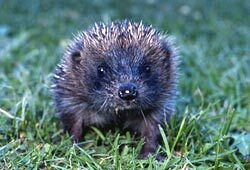 At the end of the day hopefully all our hogs are released back into the wild. 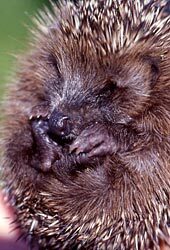 And after all our care they don't even give us flowers or chocolates!